Hello dolls! It's been a while since I posted since moving to New Zealand. I've been working on a few new things as I mentioned from the last post, and here's news item #1! 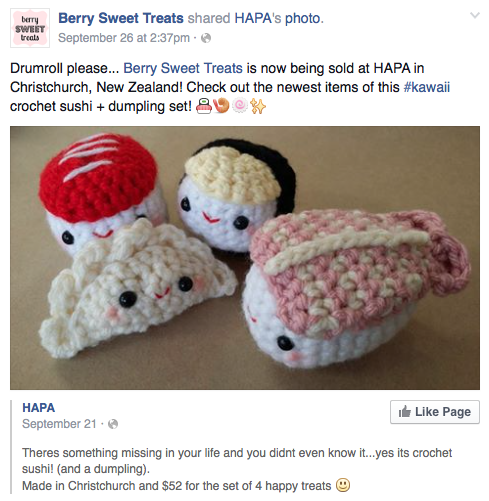 Berry Sweet Treats is now sold at HAPA in Christchurch! This exclusive crocheted sushi + dumpling four-piece set is available only at HAPA for $52 NZD, and there are three sets available. 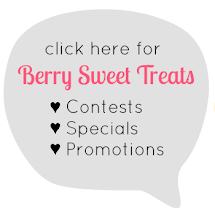 Check out other handmade artists featured at HAPA! Nom nom nom! Yummy crocheted sushi and a dumping.